If being ram-raided this week (by the most incompetent ram raid artists in the UK) wasn’t bad enough, we’re now under the impression that this motley crew of bicycle bandits has inadvertently released Zombifying Fungal Spores into the air! Half of the ST crew are now down and out with a “mystery illness” ! – Camera pulls back from the gaping hole in the wall to a wider view of Todmorden. Eerie music begins. Roll title sequence. This is the Whytest orange we have ever seen? 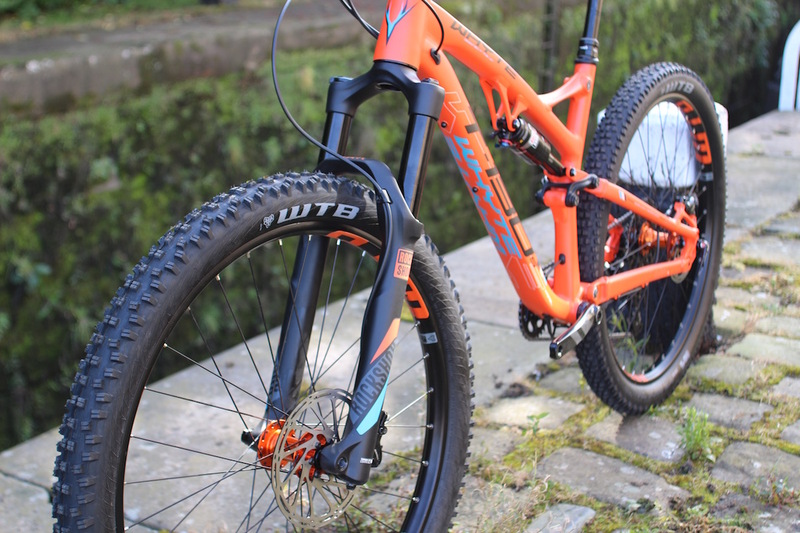 You may recognise this bike as not only the 2017 T-130 S from Whyte Bikes, but also as a winner of our annual Reader Awards ceremony from last week. 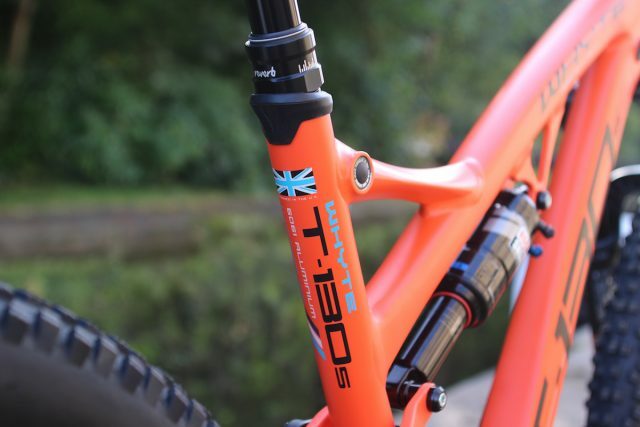 If you tuned into our live feed, you would have seen that the T-130 S was voted by Singletrack Readers (that’s you!) as their favourite bike under £2500. Well, we’ve just received a brand new T-130 S, with the latest 2017 build kit on board to serve as a long-term test bed. 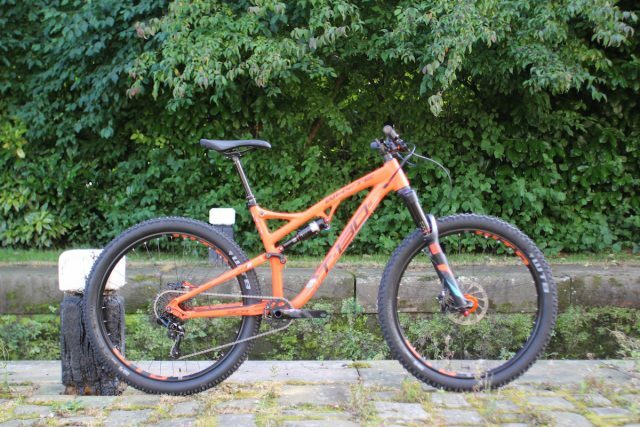 This lovely mango coloured machine is a 130mm travel trail bike from Whyte, and it’s built around 27.5in wheels. It’s the baby brother to the G-160 enduro bike, and it’s a smaller-wheeled alternative to the popular T-129 29in trail bike. Wheels! Useful on a bike (preferably 2 of). The 130 is Boost’d too! Out back is 130mm of rear wheel travel that’s controlled via a four-bar linkage with a horst link rear chainstay pivot. Whyte has developed the suspension to be plush and sensitive to the smaller chatter, and it features a big bad Debonair rear shock can from RockShox. Whyte logos on pivot bolts are a nice touch, but a life long warranty of bearings is even nicer! Lots of neat touches on the T-130 to show off its British heritage, including sealed cartridge bearing suspension pivots, which are enclosed by threaded caps that shield the bearings from the dank and filthy outside world. 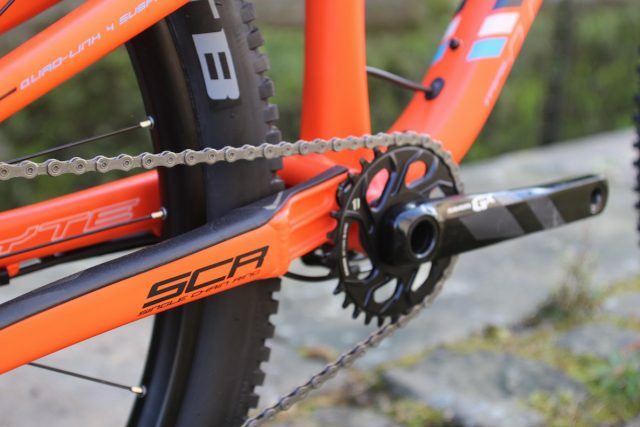 Whyte was one of the first manufacturers to go full 1 x.
Whyte was an early adopter of 1x drivetrains, and after seeing the benefits of a wide range 1×11 setup (and now 1×12 SRAM Eagle), they started building their frames specifically for a 1x setup. The T-130 S uses this SCR design, which skips any provision for a front derailleur and builds the chainstays with asymmetrical profile and a much wider main pivot for added strength and stiffness. Stealth routing for a dropper and nice tight seals to keep mud and grime out. 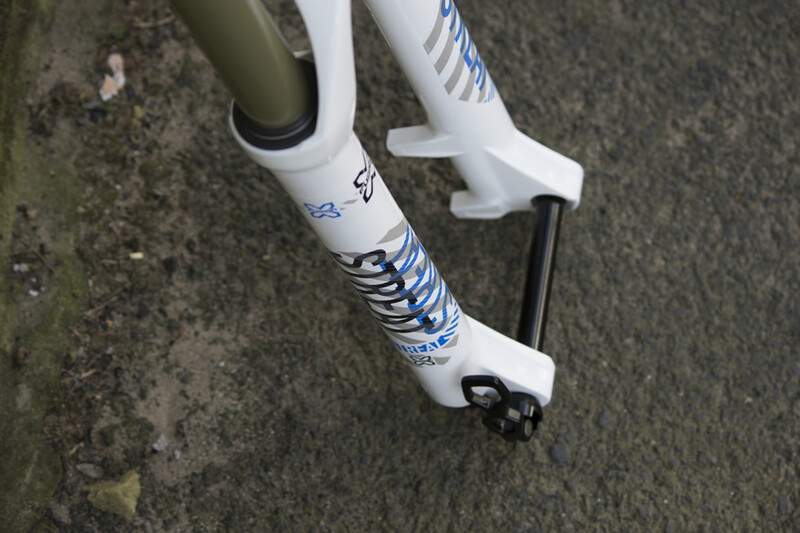 The dropper seatpost on the other hand exits at the top of the downtube, and into another port at the base of the seat tube. 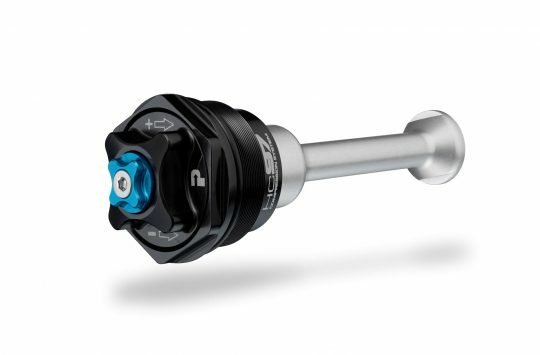 A short head tube and zero stack headset mean you can run the T130 as low as you like. Note that the rear derailleur gear cable runs full-length outer from the shifter all the way to the rear derailleur to keep everything sealed from the elements. The polar opposite of 90’s fashion! 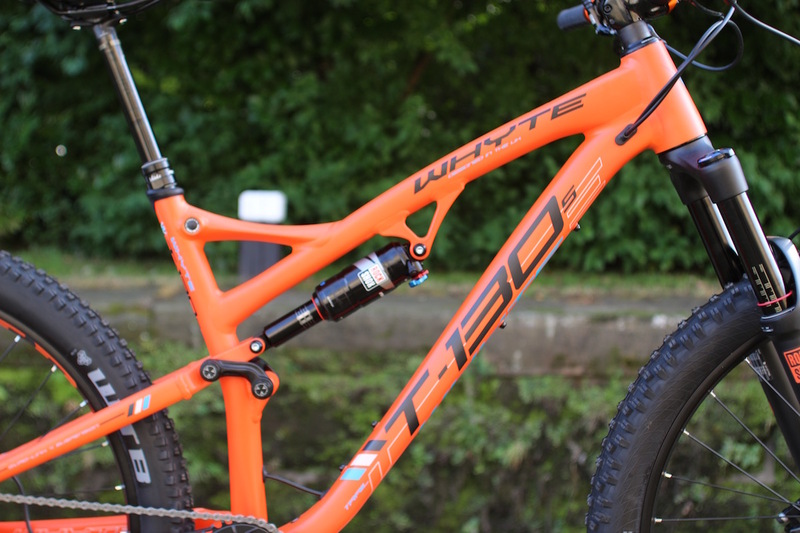 Whyte has been known for pushing the geometry envelope, and the T-130 is no different. Nice roomy top tube is paired to a chunky 45mm long stem on our medium test bike. Dinky isn’t it? 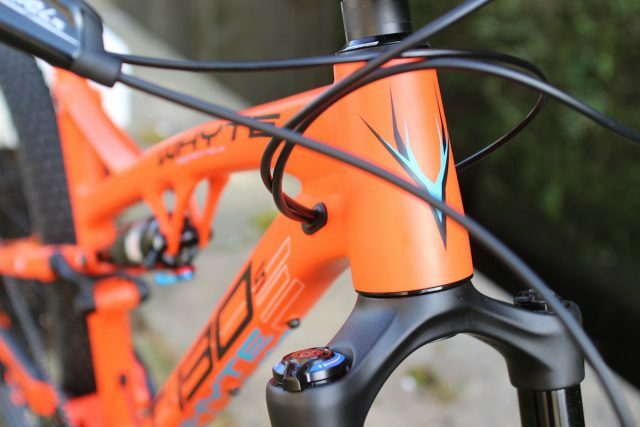 Whyte have moved the standard seatpost collar and added another mud defending seal around the entrance to the seat tube. 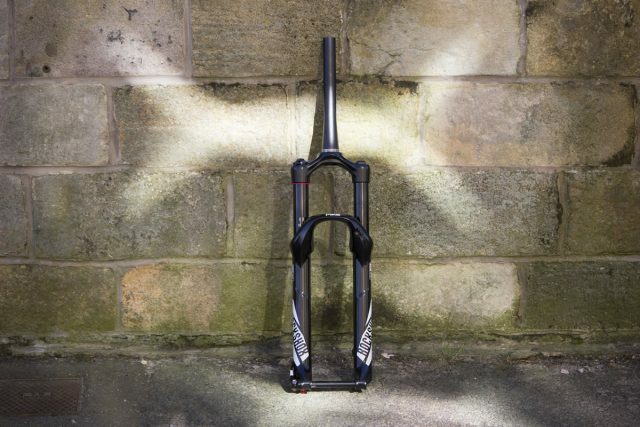 RockShox Reverb Stealth dropper as standard, and with 150mm drop no less. 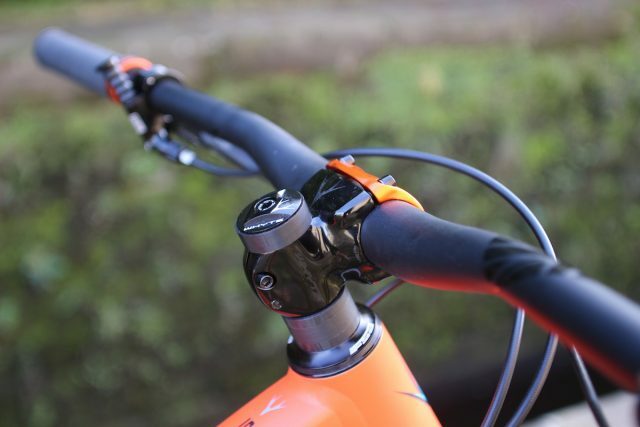 As with its other mountain bike frames, Whyte has applied the clever Inter Grip seat clamp design, which eschews the traditional external seat clamp collar in favour of an internal wedge system. 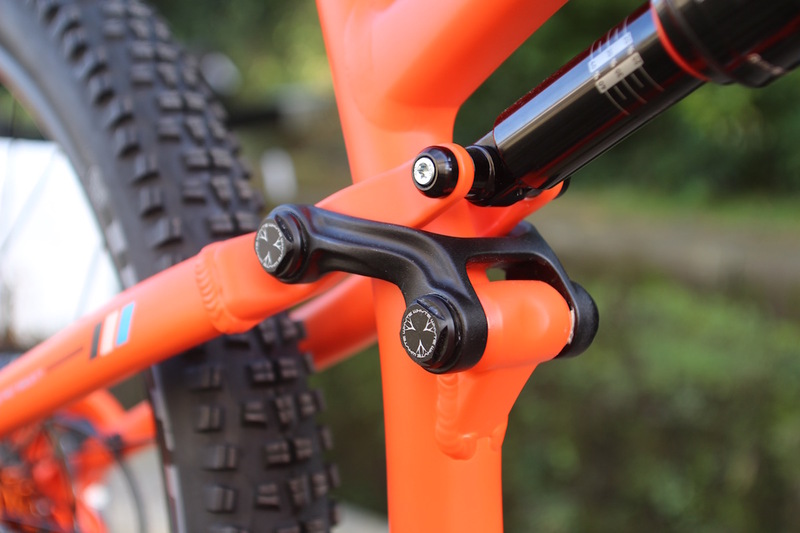 We quite like the look of this integrated seat bolt. 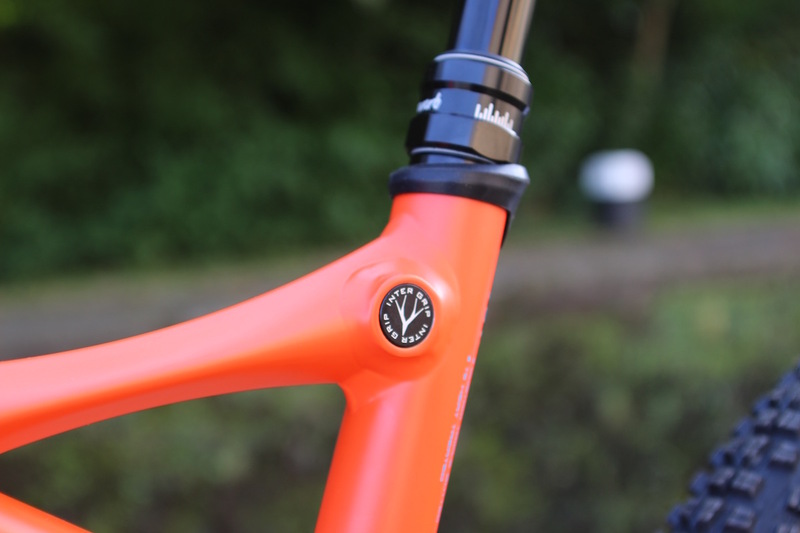 The system not only looks super clean, it also eliminates the traditional split down the alloy seat tube that would normally allow dirt and water to make its way inside the frame. Further shielding the T-130’s guts from the outside world is a rubber sleeve that covers the top of the seat tube where the seat post enters into the frame. It’s a very neat, and hopefully weather tight setup. It might ‘only’ have 130mm travel but the Whyte T130 is a very capable bike! What does the Wee Cog of mystery hold for you? 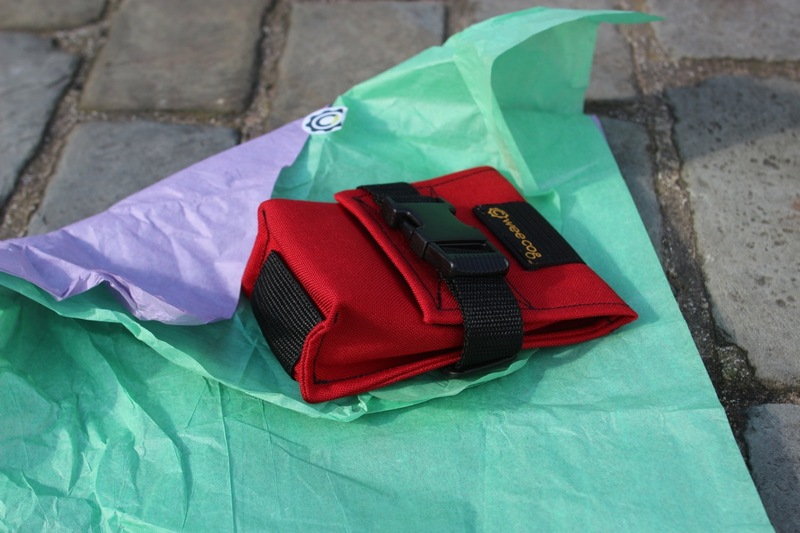 The Wee Cog Slider is the world’s first dropper specific saddle bag. 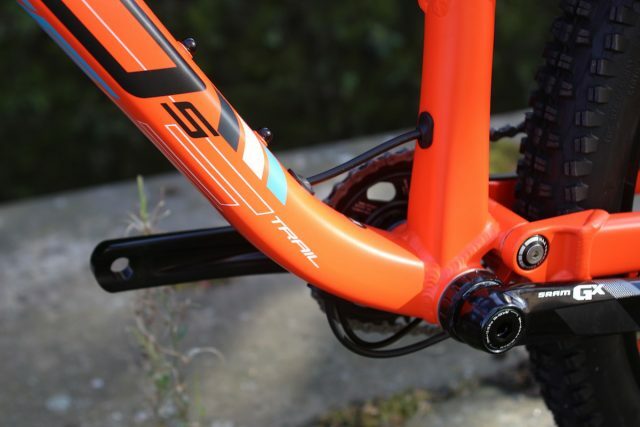 The design includes a larger strap that attaches around the rails of the seat rather than around the seat post shaft, thus allowing you to slam your dropper all the way down when the going gets steep. 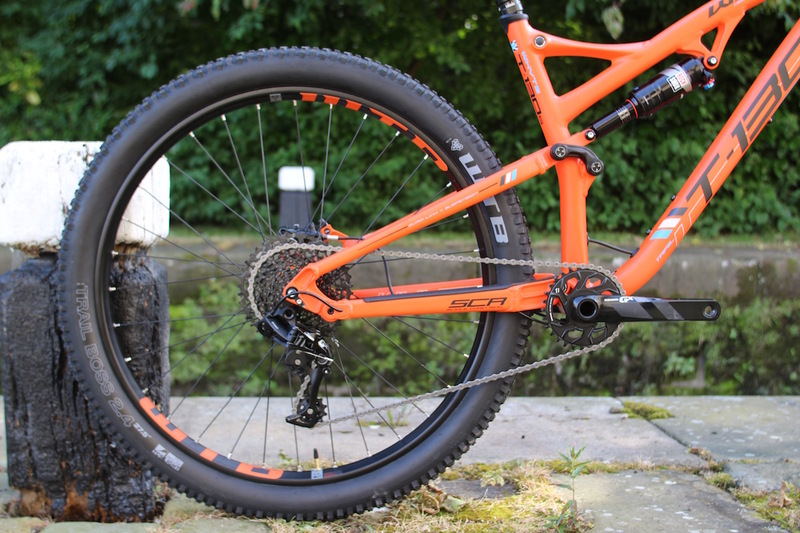 A compact design keeps the Slider out of the way but it’s still large enough for a 29er tube, tyre levers with even enough room left to fit a beer flavoured energy gel. Available in black, brown, Khaki waxed cotton or black, orange, green, red or teal cordura. Are white components making a comeback for 2017? 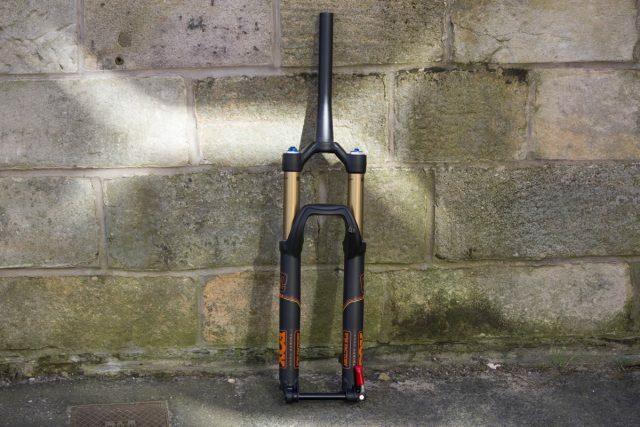 As part of our upcoming fork group test, we’ve got an X-Fusion Streat fork that’ll be going up against the likes of RockShox and Fox to see what it’s made of (mostly metal and hydraulic fluid we’re guessing?). The Streat is built with 32mm stanchions and is offered in 100-140mm travel that can be adjusted internally. This model is the RL2 version, so it has an air spring, rebound damping and a crown mounted lockout. Claimed weight is 1724 grams. 32mm stanchions and up to 140mm travel make the Streat a nice all-mountain option. A chunky chassis and subtle graphics make the 2017 34 one of the best looking Fox Forks ever (in our opinion that is). 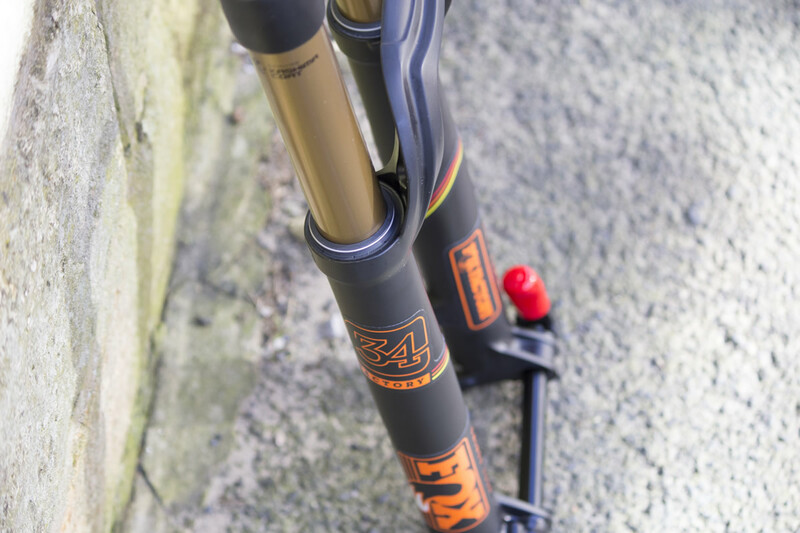 Redesigned last year, the Fox 34 FLOAT fork steps into the ring with a much lighter chassis than the original, and completely reworked gubbins that draw from the latest 36 fork. 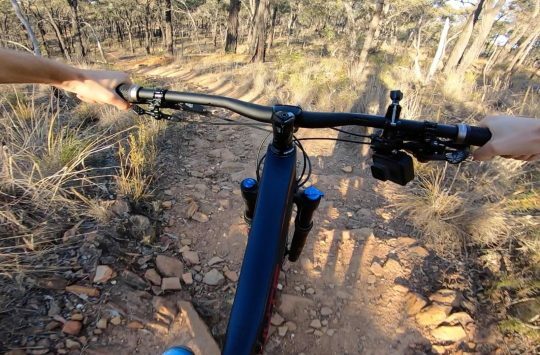 We’ve been seeing the 34 fork spec’d on a lot more 2017 bikes, all the way down to short travel trail bikes that can benefit from the stiffer chassis and plusher ride quality compared to the skinny Fox 32 FLOAT fork. With the Fox 34 and RockShox PIKE battling it out for supremacy alongside a number of key rivals in the trail bike fork arena, who do you think will come out on top?? How nice would these look on that orange T130? 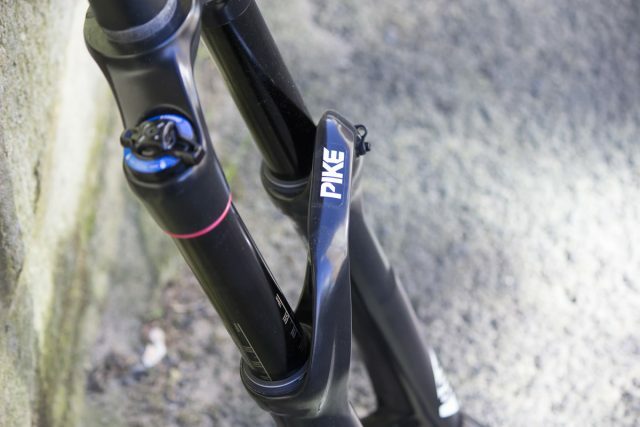 The Pike is one of the top choices for all types of riding. The hottest trail fork of the past few years comes into 2017 with a slight tweak of some internals to give it a little more durability and a little more plushness. We’ve got a 27.5in model with 130mm travel, and we’ll be putting it through its paces alongside a swag of other trail forks in the upcoming group test feature. RCT3 damper offers independent low-speed compression adjustment and a big ol’ dial that gives you an open-firm-lock position with a flick of the lever. 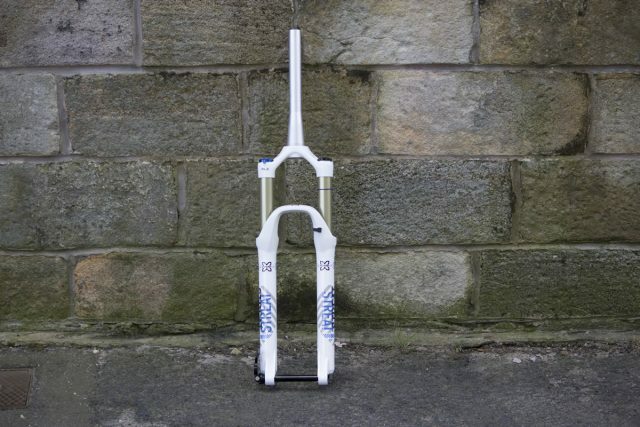 Will the PIKE be the king of our fork group test? Will the Pike remain king of the hill? With Primaloft, to keep your tootsies toastie. “New sticky stealthy soles seek wooly wintery warmth” is the description Rik Mayal would write for the Five Ten EPS if they were in the dating game, though they aren’t likely to be single (they come in pairs after all). 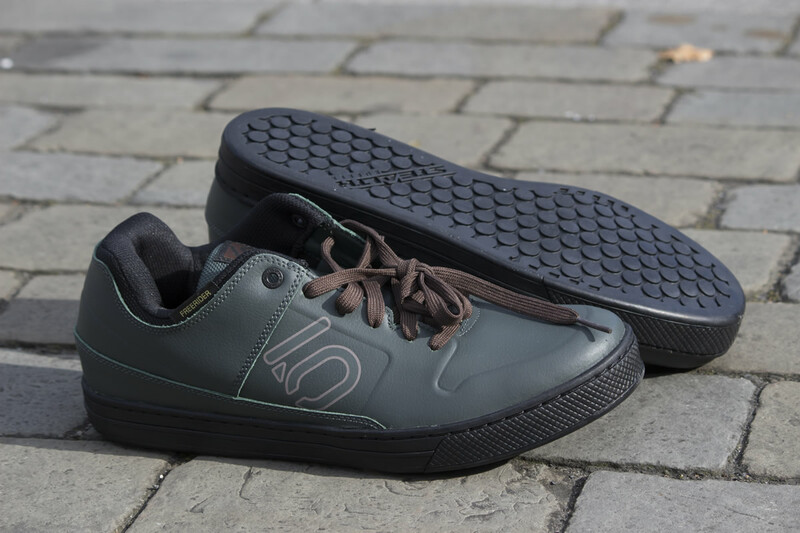 The EPS is basically the same flat pedal we all know and love from Five Ten but with added winter protection. A one piece leather forefront means there are fewer seams to leak and an insulated Primaloft padding has been added for additinal warmth. Toastie socks in red for added heat. For those of us who just want to add a layer of warmth to our current riding shoes then the Ride Free Thermo sock is an option. 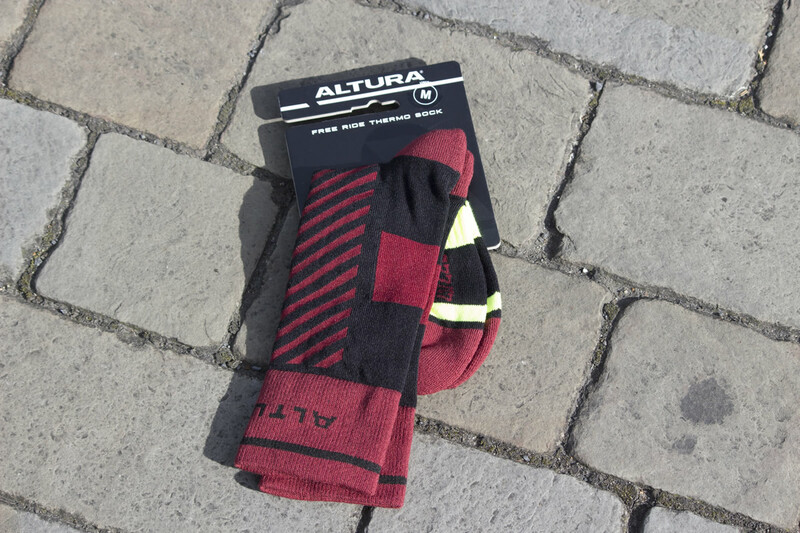 Altura has made their foot gloves with Altura Thermo technology to deliver body warming insulation while being highly breathable. Antibacterial treatment should also help keep your warm, dry feet pong free. Specialized offer the 2FO in two variants, we have the ClipLite version for review which has hardware in the sole for attaching your cleats (there’s also another model for flat pedal users). 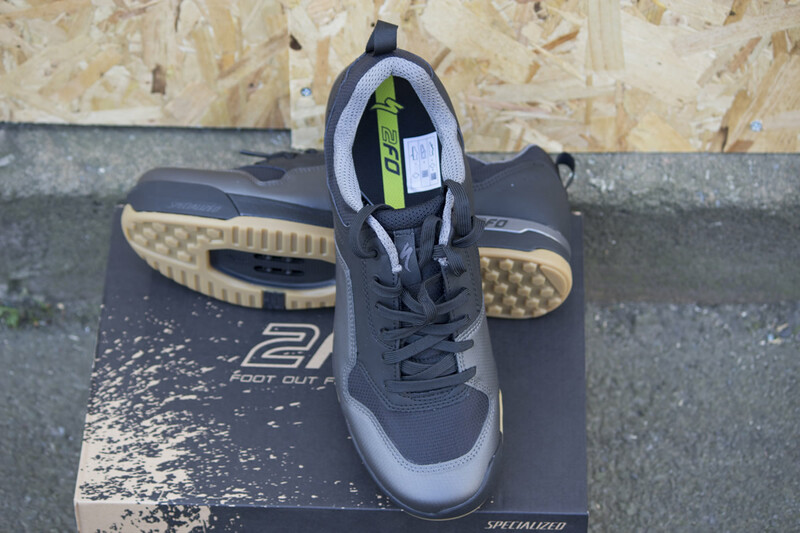 The 2FO Cliplite comes with 2 Boa dials for fast secure fitting, and Specializes own Body Geometry sole with an ergonomic design to boost power and increase efficiency. A grippy sold offers more traction for climbing and for those times you don’t quite clip in. There are plenty of decent mini pumps on the market, but how many of those are designed to be used with your thick winter gloves? 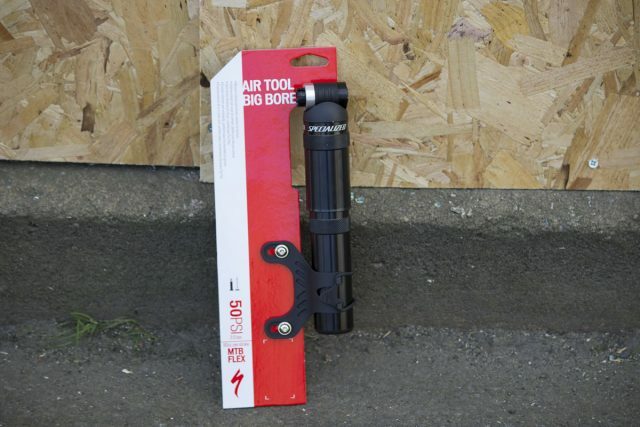 Specialized have designed the head of the Air Tool Big Bore to be easy to use with gloves on so you don’t need to worry about icy fingers when fixing a puncture. A coarse barrel aids grip, while the Big Bore design means the optimal amount of air can be pushed into your tyres in the minimum amount of time. Fast clearing tread for sloppy singletrack. Everything about the Specialized Storm tyres screams “Winter”. 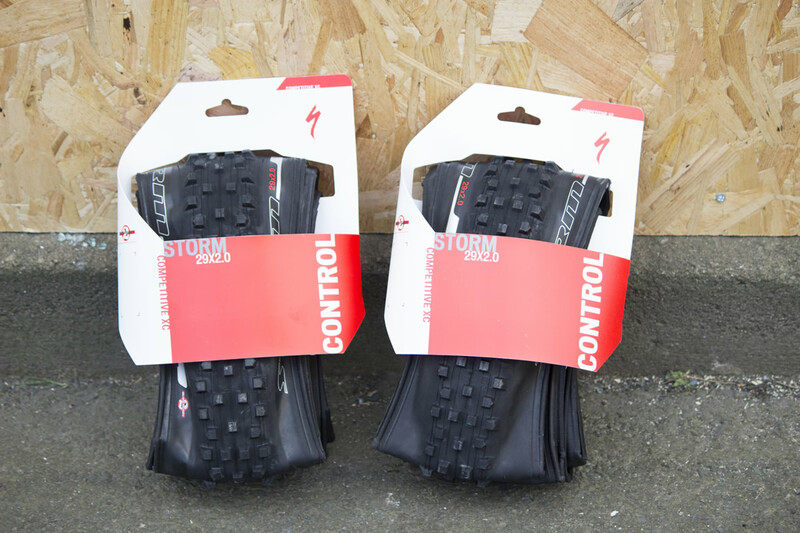 Each tyre comes in a super sticky rubber compound, perfect for slippery roots and rocks, plus a wide tread spacing promises they’ll not slick over in muddy gloop. 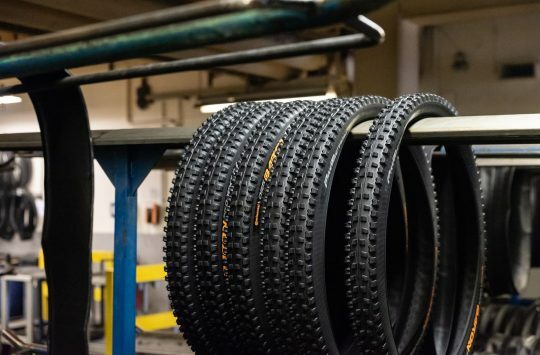 Our test tyres are for large hooped 29er bikes, but Specialized also offer their winter treads in 2.0 x 27.5 and even 2.0 x 26! The folding casing is also tubeless ready, just wack in some sealant, pump ’em up and off you go! Fabric boasts a diverse range of quality products. 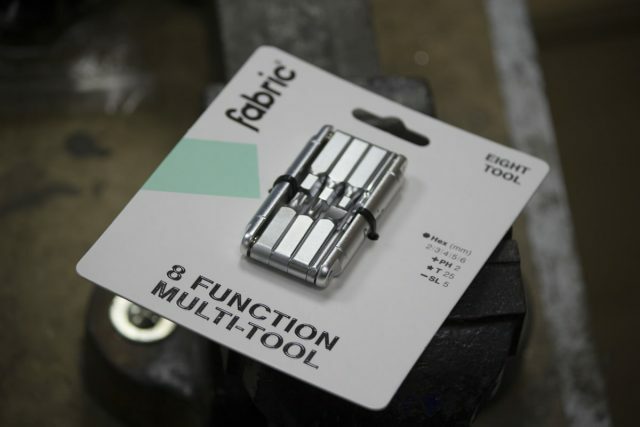 The Eight Tool is their mid-range trail tool (there is also a 6 and a 16 available) offering 8 fold out tools in a lightweight aluminium body. The tool comes equipped with 5 Allen key’s (2, 3, 4, 5, 6mm), flat and cross head screwdrivers and a single Torque key for keeping your discs secured. Sort of looks a false shaving foam canister used to smuggle dinosaur DNA. 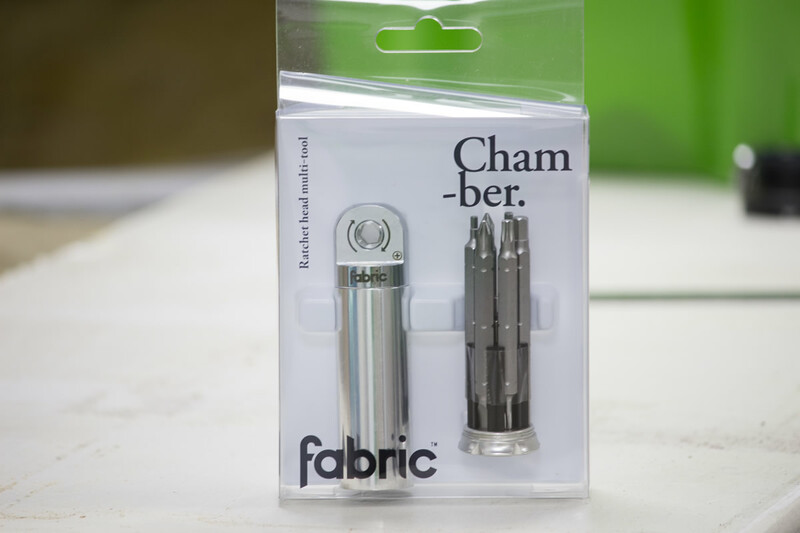 The Fabric Chamber multi-tool has a total of 13 tools hidden inside its alloy body, but the best feature by far is the built-in ratchet in its head. Each of the dual sided bits slide into the ratchet giving you a little additional leverage when tightening or loosening bolts. The thick body should mean it will be handy to use with gloves on too. 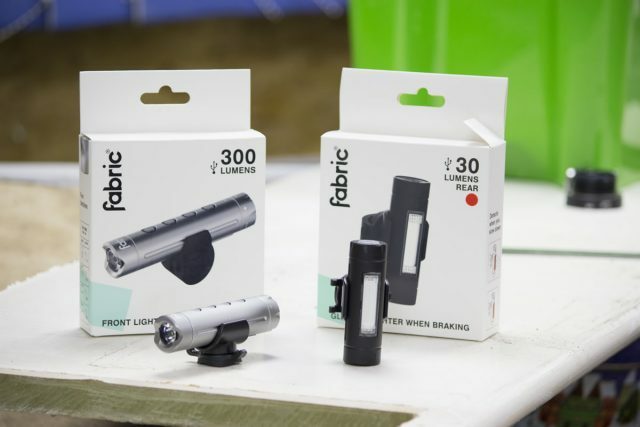 Fancy commuting lights from Fabric. Tis the season for bicycle lights and Fabric have LEDs for either the front or the rear of your bike. Up front we have the FL300, a 300 lumens LED light with a claimed burn time of up to 2 hours. The rear of the alloy body features a “speed dial” that lets you fine tune the brightness of the light, and switch between strobe modes, on the fly. The rear light is the FLR30 (there is also an FL30 in white for the front) and has a 30 lumens rating. The really interesting feature on the FLR30 though is that it is speed sensitive with brightness increasing in intensity as you slow down so in effect, it’s a light and a brake light all-in-one. Yup, white components seem to be making a comeback. 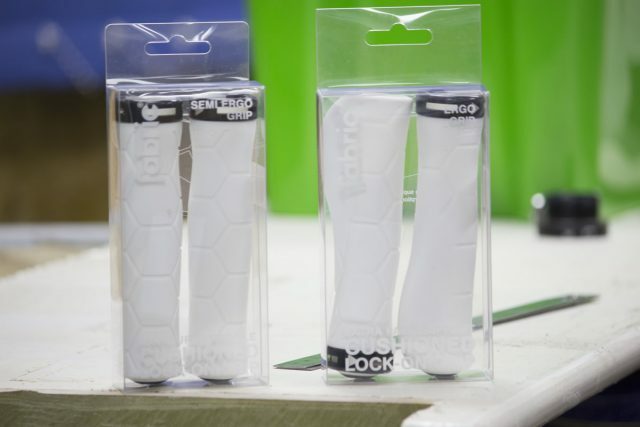 We’re not sure how long the Ergo and Semi Ergo Fabric grips are going to look new for in white, but they certainly feel soft and sticky enough to remain comfortable for the long run. Both grips are designed with contours to fit the hand with the Ergo model receiving additional palm support. Also available in black. Ok, white is now a confirmed 2017 colour. Did we mention that Fabric has a diverse range? 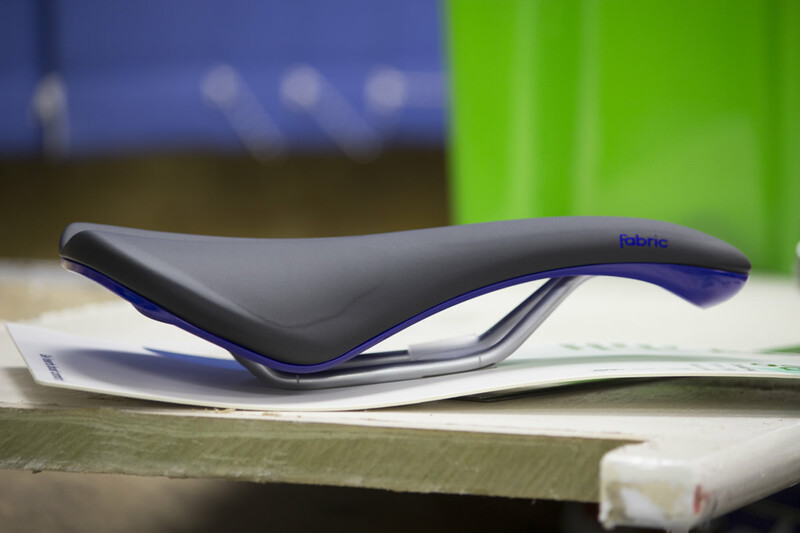 The Scoop saddle comes in a whole bunch of different versions all dependent on your riding style and gender. On top of that, you also have choices of materials from Chromoly steel to pimped out Titanium or Carbon options, and a shed load of colour options to sort through too! Fabric’s famous cage-less mounting has found its way on to their new Tool Keg. 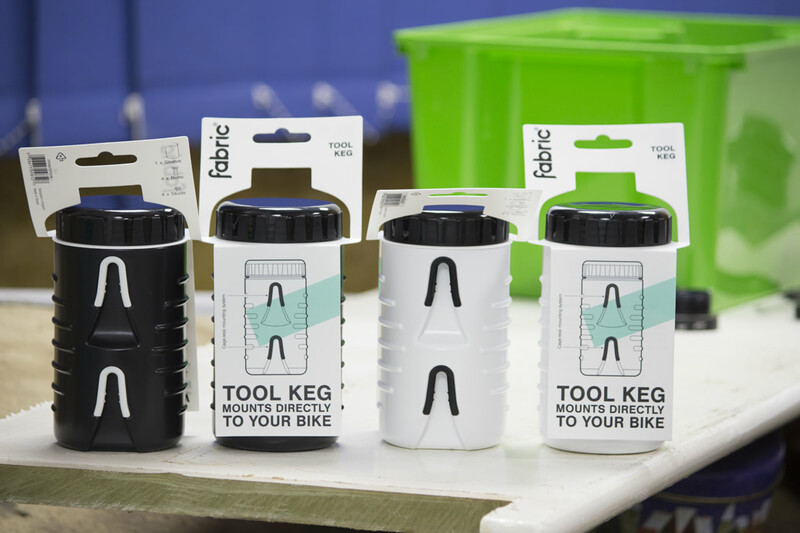 The small container comes with a neoprene insert and does exactly what it says on the label. A screw top should keep all but the most torrential rain out and has enough room inside for a few small tools, spare change and other bits and bobs. If you still prefer carrying your liquids on your bike rather than on your back Fabric’s cage-less water bottles are a very neat solution. A couple of studs screw into where a bottle cage would normally fit and the bottle’s innovative design simply clips on. 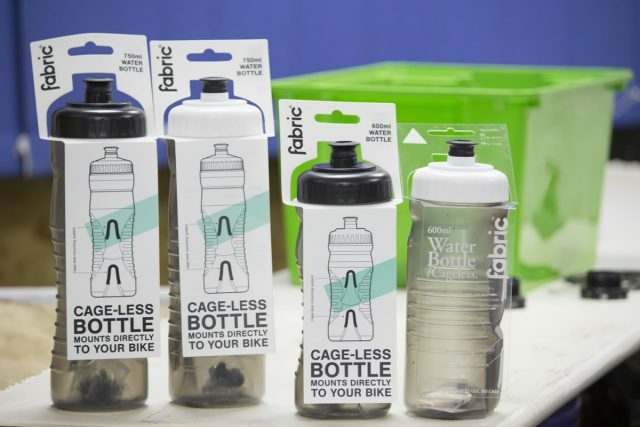 Fabric offer the bottle in a clear finish (motivation to clean it perhaps?) with a range of coloured lids and elements. Torq is celebrating Halloween in the best way possible! 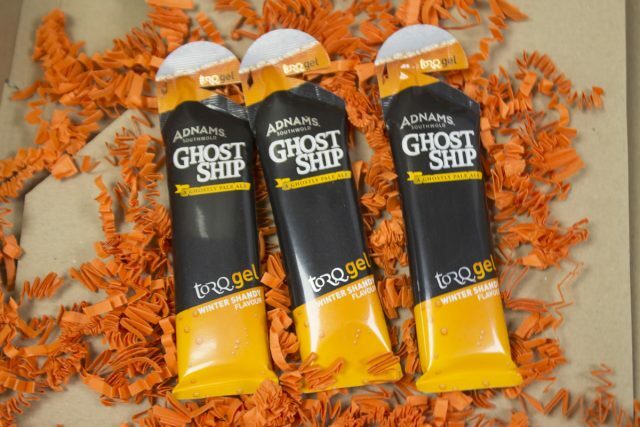 Making energy gels that taste like beer! Actually, the flavour is officially called Winter Shandy and is based on Adnams Ghost Ship pale ale. Keep in mind though that there is a very small percentage of alcohol inside (around 1.07%) so keep clear if you are taking part in Sober October. This is the jacket to wear if you want to be seen. 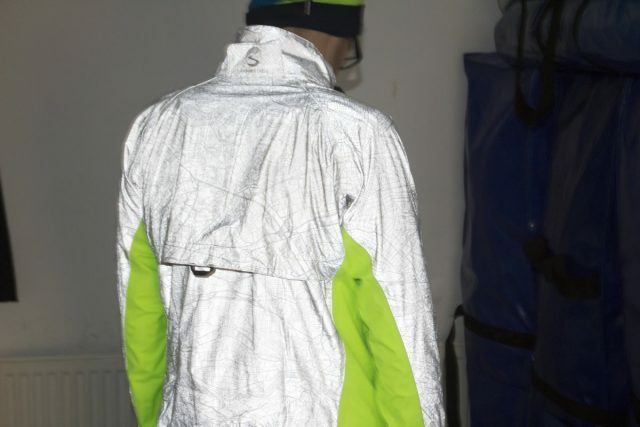 The Showers Pass Torch jacket (we covered their Refuge jacket in FGF 308) features a Reflective Silver MapReflect Fabric on the main body (for night time visibility), luminous green panels to help stay seen in the daylight, and even 4 x LED beacons! Like all good jackets, the Torch is fully waterproof and breathable too! 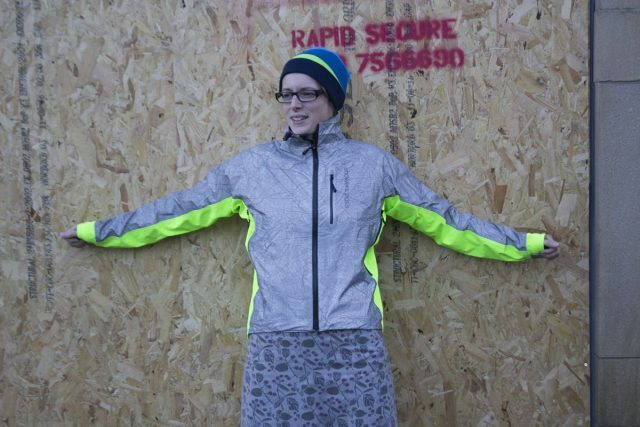 This might just look like a trendy fabric belt, but it is, in fact, a lightweight bike lock. The Litelok started off as a Kickstarter and now that funding has been completed it is up for sale to the public. The company uses a special material that they call Boaflexicore® which is impervious to cutting, slicing, chopping, stretching etc. 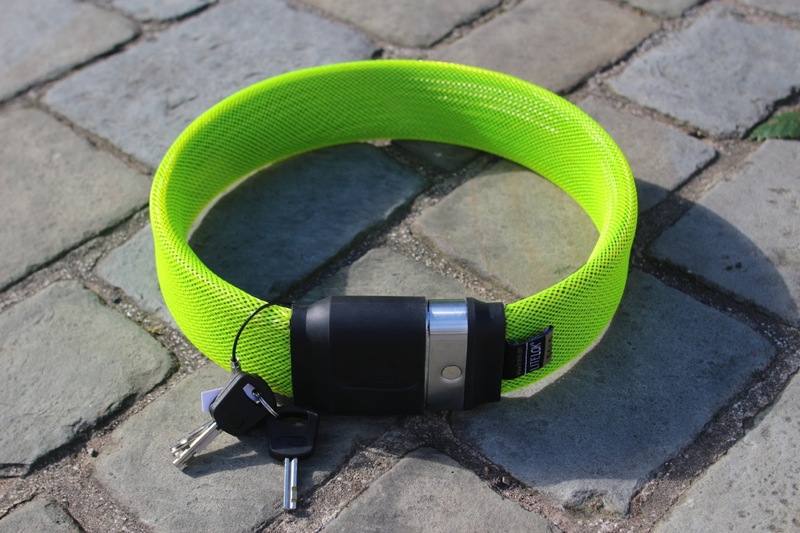 A single lock measures 29-inches but 2 can be fastened together if you need more length or want to lock a couple of bikes together. Now that was a humongous Fresh Goods Friday! If you made it through every one of those 2,537 words you owe it to yourself to listen to some fine music! This particular gem was selected for you by Wil. So you can blame him. Apologies for the earworm that you are about to be infected with for the rest of the day. Enjoy! 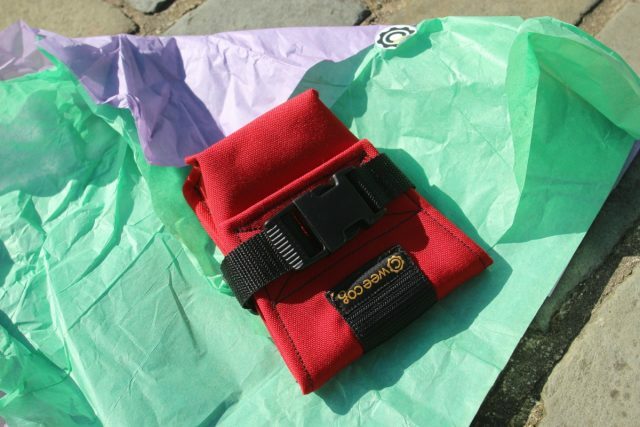 I’ve had a small evoc saddle bag for a few years which uses a single strap. It too is dropper friendly. 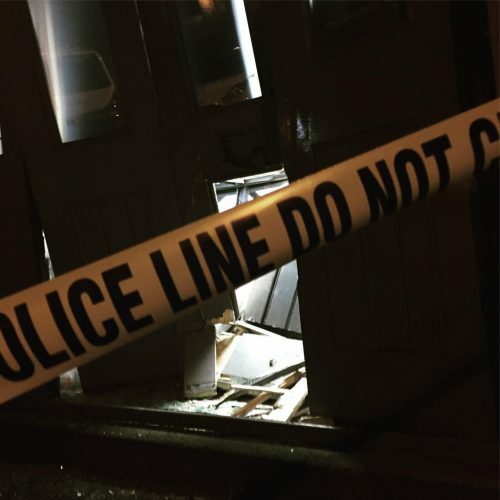 “Ram Raid” or E-bike testing gone wrong? Litelok Gold – can they do a 36″ so us larger lads can wear it as a belt when riding?